We are surrounded by malignant narcissists. How come this disorder has hitherto been largely ignored? How come there is such a dearth of research and literature regarding this crucial family of pathologies? Even mental health practitioners are woefully unaware of it and unprepared to assist its victims. 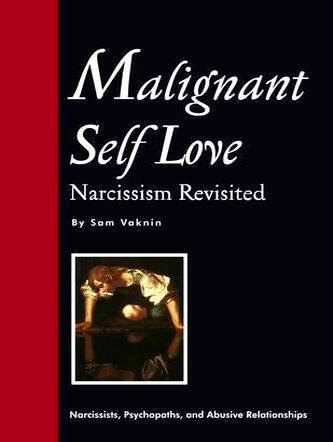 The sad answer is that narcissism meshes well with our culture [see: http://samvak.tripod.com/lasch.html]. It is kind of a "background cosmic radiation", permeating every social and cultural interaction. It is hard to distinguish pathological narcissists from self-assertive, self-confident, self-promoting, eccentric, or highly individualistic persons. Hard sell, greed, envy, self-centredness, exploitativeness, diminished empathy - are all socially condoned features of Western civilization. The very ethos of materialism and capitalism upholds certain narcissistic traits, such as reduced empathy, exploitation, a sense of entitlement, or grandiose fantasies ("vision"). Narcissists are aided, abetted and facilitated by four types of people and institutions: the adulators, the blissfully ignorant, the self-deceiving and those deceived by the narcissist. The adulators are fully aware of the nefarious and damaging aspects of the narcissist's behaviour but believe that they are more than balanced by the benefits - to themselves, to their collective, or to society at large. They engage in an explicit trade-off between some of their principles and values - and their personal profit, or the greater good. They seek to help the narcissist, promote his agenda, shield him from harm, connect him with like-minded people, do his chores for him and, in general, create the conditions and the environment for his success. This kind of alliance is especially prevalent in political parties, the government, multinational, religious organizations and other hierarchical collectives. The blissfully ignorant are simply unaware of the "bad sides" of the narcissist- and make sure they remain so. They look the other way, or pretend that the narcissist's behavior is normative, or turn a blind eye to his egregious misbehaviour. They are classic deniers of reality. Some of them maintain a generally rosy outlook premised on the inbred benevolence of Mankind. Others simply cannot tolerate dissonance and discord. They prefer to live in a fantastic world where everything is harmonious and smooth and evil is banished. They react with rage to any information to the contrary and block it out instantly. This type of denial is well evidenced in dysfunctional families. The self-deceivers are fully aware of the narcissist's transgressions and malice, his indifference, exploitativeness, lack of empathy, and rampant grandiosity - but they prefer to displace the causes, or the effects of such misconduct. They attribute it to externalities ("a rough patch"), or judge it to be temporary. They even go as far as accusing the victim for the narcissist's lapses, or for defending themselves ("She provoked him"). In a feat of cognitive dissonance, they deny any connection between the acts of the narcissist and their consequences ("His wife abandoned him because she was promiscuous, not because of anything he did to her"). They are swayed by the narcissist's undeniable charm, intelligence, or attractiveness. But the narcissist needs not invest resources in converting them to his cause - he does not deceive them. They are self-propelled into the abyss that is narcissism. The inverted narcissists, for instance, is a self-deceiver. The deceived are people - or institutions, or collectives - deliberately taken for a premeditated ride by the narcissist. He feeds them false information, manipulates their judgement, proffers plausible scenarios to account for his indiscretions, soils the opposition, charms them, appeals to their reason, or to their emotions, and promises the Moon. Again, the narcissist's incontrovertible powers of persuasion and his impressive personality play a part in this predatory ritual. The deceived are especially hard to deprogram. They are often themselves encumbered with narcissistic traits and find it impossible to admit a mistake, or to atone. They are likely to stay on with the narcissist to his - and their - bitter end. Regrettably, the narcissist rarely pays the price for his offenses. His victims pick up the tab. But even here the malignant optimism of the abused never ceases to amaze (read this: http://samvak.tripod.com/journal27.html).